When I am asked, in the shop, for a creamy cheese, I always recommend our Yorkshire Goat Gouda. This cheese and the smoked version both won prizes at this year’s 2011 Great Yorkshire Show, which pleased us no end. 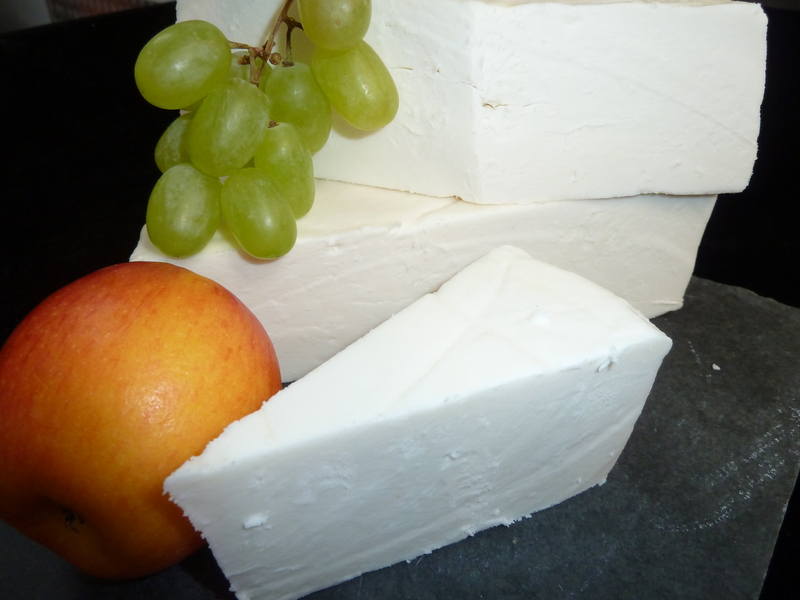 We make this from our local, single source of goat milk, from Grewelthorpe, in the heart of the Yorkshire Dales. We think that we are the only people who make goat gouda in the UK – if you know differently, please let me know. This is a semi-soft, really creamy cheese. It is not the easiest cheese to make, involving many quite complicated steps and so different to the other cheese that we make, but it is worth it as it is a super cheese. It is very pale in appearance, slightly soft and as I have said, super creamy. When we first started to make chutneys, Lydia wanted to make an apple chutney to accompany this. I am so pleased that we did as it goes so well with our Granny’s Apple chutney, she was right, it’s a lovely accompaniment.